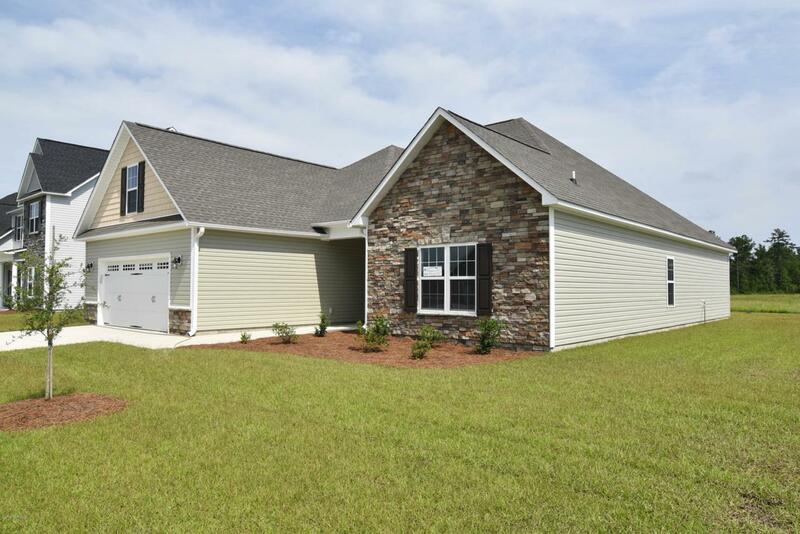 The Riley floor plan offers 3 bedrooms, 2 bathrooms, and a bonus room, at approximately 2560 heated square feet. 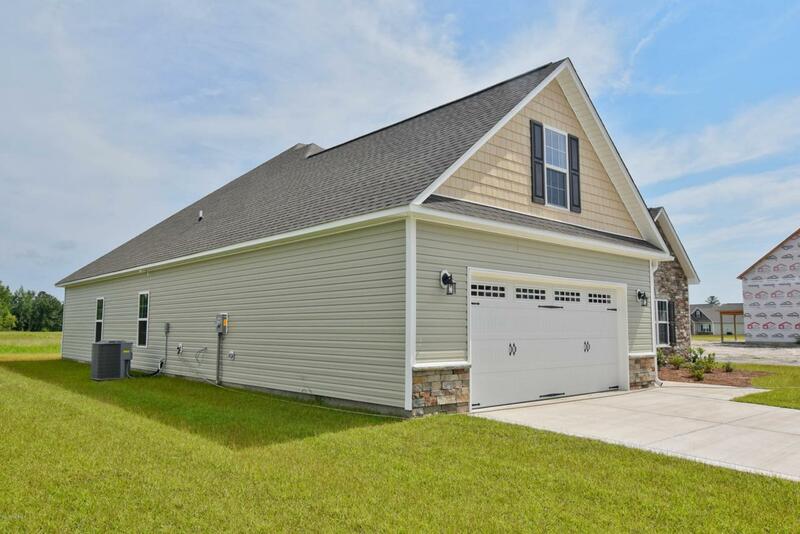 The exterior is quite charming with easy-to-maintain vinyl siding accented by stone or brick. All surrounded by a sodded front yard with clean, classic landscaping. The foyer welcomes you in, opening into the expansive family room. Approximately 18'x25', the family room is perfect for gathering the entire family for movie or game night. The family room is equipped with a ceiling fan and an electric fireplace situated in the corner of the room, surrounded by marble and topped with a custom mantle, it's the perfect place to cozy up next to on those chilly winter evenings. 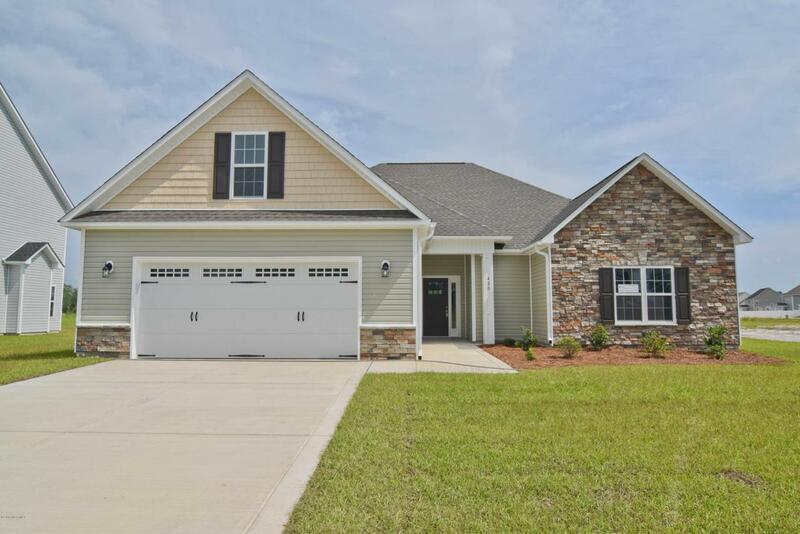 The chef in the family is sure to fall in love with the kitchen!Features include flat panel, staggered cabinets and stainless appliances to include a smooth-top range, microwave hood, and dishwasher. The spacious dining area is open to the kitchen. The master suite is located on the opposite end of bedrooms 2 and 3 for extra privacy. 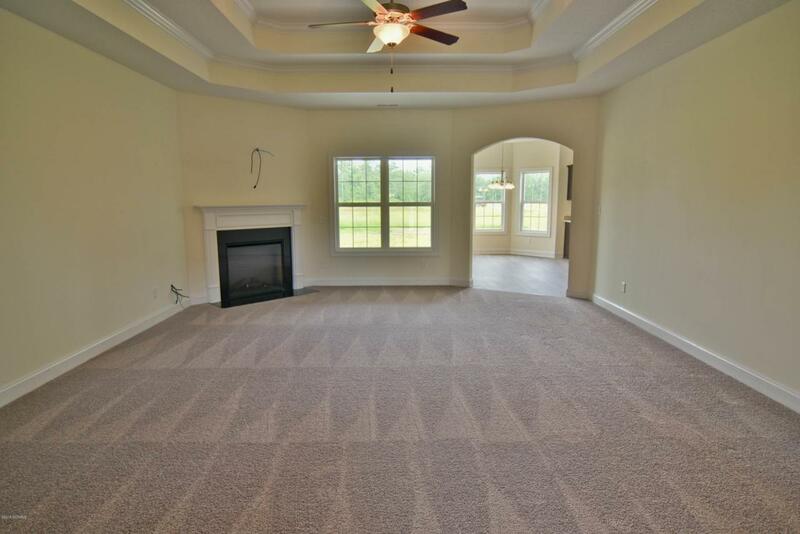 Approximately 17'x18', the master bedroom boasts a ceiling fan, trey ceiling, and two walk-in-closets. Unwind after a long day in the luxurious master bathroom. Double vanity topped with cultured marble counters, full view custom mirror, ceramic tile flooring, separate shower and soaking tub. Bedrooms 2 and 3 are perfectly sized with their own walk-in-closets and prewired for ceiling fans. The large bonus room, approximately 12'x26', can be used for many purposes, office, gym, tv room, game room, play room, so many options........you choose!! Enjoy those Carolina evenings on the covered patio. 2 car garage. All backed by a one-year builder warranty from a top, local builder. Call today! NOTE: Floor plan renderings are similar and solely representational. Measurements, elevations, and design features, among other things may vary in the final construction. Call to verify.